A live action film made over two nights one weekend. Unrehearsed, it is a true to life depiction of Street Angels Whitby. 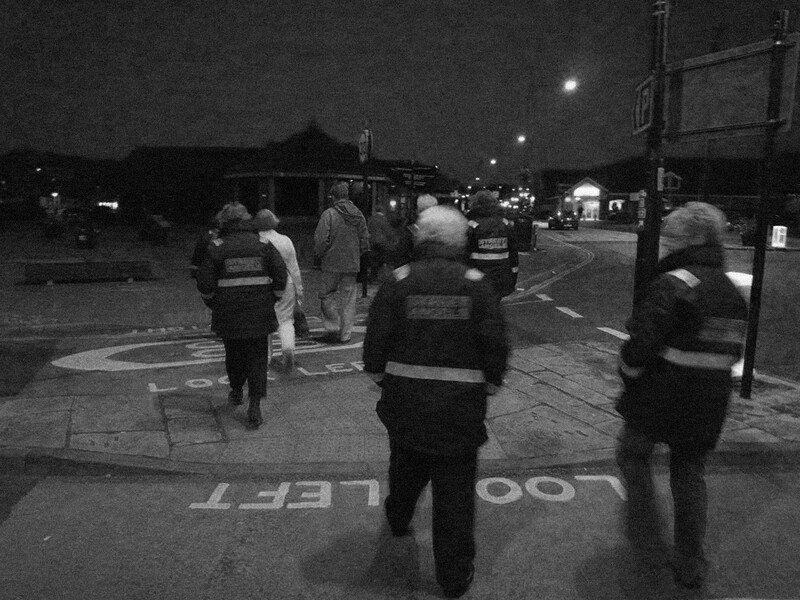 Street Angels have been operating on weekend nights (Friday and/or Saturday) in Whitby for nearly 4 years now. Many people do not know what the Street Angels do. Now you can by watching this video filmed last autumn and hearing from some of the 20 volunteers. Could you volunteer? Every night seems to bring a few surprises and this occasion was no exception. Street Angels learn to expect the unexpected! It is a caring late night and early morning project that serves both the local community and the many weekend visitors. Indeed, one of the oft repeated phrases in conversations with the younger set is "it's really good that you care". Street Angels give it and get it too. Now you have seen a little of what we typically do, does this service to Whitby community interest you - enough for you to consider volunteering? Many Street Angels are Christians but you don't have to be to join the team. We welcome people of faith, and no faith without discrimination. All we ask is that you are as open minded as we seek to be. Send us a message via this web-site and we can meet to talk about what we do.